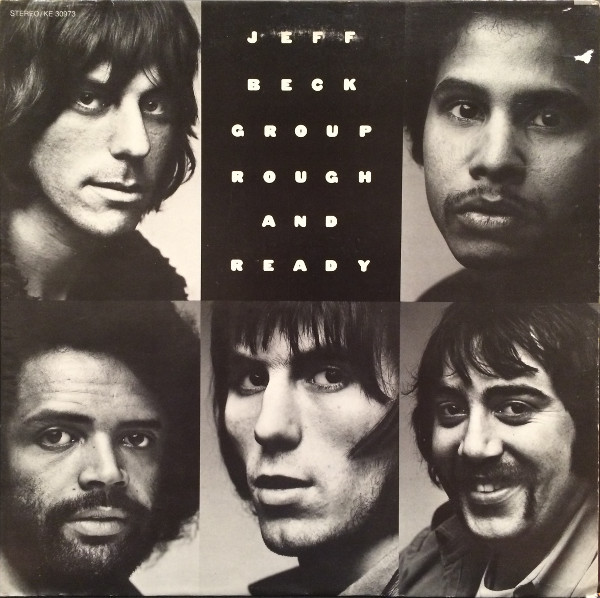 After the blues rock of "Truth" and the heavy rock of "Beck-Ola" this was a somewhat different type of album for Jeff Beck's newly-formed band of musicians. No more Rod Stewart or Ronnie Wood and we had a very funk rock offering. The rock is still there, of course, but there were lots of funky guitar and organ breaks and also a soulful vocal style from new vocalist Bobby Tench. He had replaced Alex Ligertwood (who went on to be the vocalist on many Santana albums around ten years later). There was certainly no gravelly Rod Stewart sound to the vocals anymore. Cozy Powell is now on drums. Like many early seventies albums, there is somewhat of an indulgent feeling to it, but that mustn't be allowed to mask its good points. "Got The Feeling" is a vibrant piece of breezy but tough funk rock to kick the album off with and "Situation" is similar, very Santana-ish in both its vocal style and Beck's guitar interjections. It has some funky keyboard soloing too. "Short Business" is a shuffling, chunky mid-pace rocker with a feel of seventies-era Traffic about it. "Max's Tune" is a jazzy, reflective instrumental that is based around Max Middleton's keyboards. It is very similar to some of the material Santana put out from around 1972 onwards, so maybe this was the influencer, not the other way around. The guitar work on it is very jazzy, melodic and laid-back, totally different from the huge, heavy riffage of the previous album. This sort of ambient stuff was certainly a change in direction. I believe that it alienated some fans at the time, who wanted more guitar-driven bluesy bombast. "I've Been Used" is one track that has a few echoes of previous work, in its slightly psychedelic rock sound, although the vocal is very much in the muscular, soulful Blood, Sweat & Tears style. 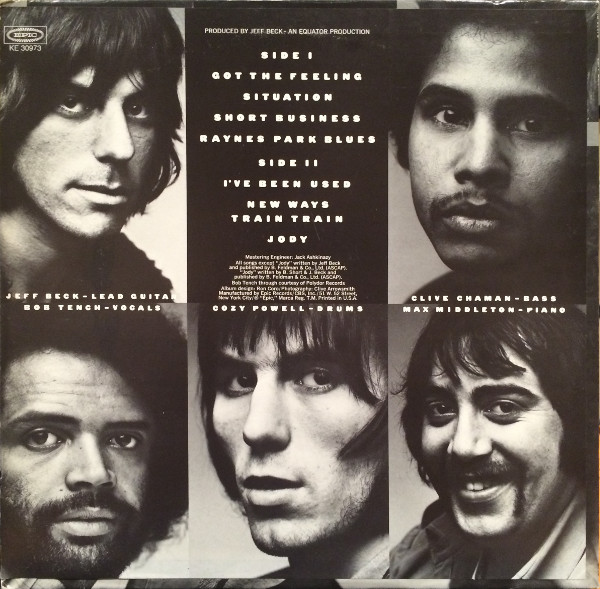 "New Ways/New Train" is similar to some of the soul/funk/rock that Chicago were putting out at the time. The guitar/drum interplay two and a half minutes in is one of the album's best passages. Sublime bass too and the percussion near the end. Impressive stuff. "Jody" ends the comparatively short album with a rock ballad driven by some Elton John-style piano. Jeff Beck contributes a buzzy guitar to this and again, the bass is infectious. Once again, it has hints of Chicago to it. Overall, I prefer the Rod Stewart era, but Jeff Beck was always an artist who evolved with different albums and different bands. This was just one more on his considerable journey. For 1971, it was quite an advanced album, ahead of many of its contemporaries.